There are many variations of this game all over the web I’m sure under catchy little names and such but I am a simple guy and I don’t have time for that. I like to keep it simple so here we go with “Hot or Not” the New York Yankees edition. Please remember that sample sizes will play a huge factor into this and this takes into account just the handful of games we have seen thus far and is not an indicator of future performances. Disclaimers and such. And such. Aaron Judge is hot right now, so hot. Judge has hit three home runs already this season at the time of this writing and has more RBI than he does strikeouts, which is an accomplishment for him. It’s a huge step forward not only in his development but in his confidence as well. For every huge Yankees prospect that is doing well we seem to have one that isn’t doing so great and no Yankees prospect is bigger than Gary Sanchez right now, figuratively speaking of course. Sanchez’s season did not start out as planned this season and a strained biceps muscle that will keep him out at least a month didn’t help but Sanchez, like our next “not” player, is one player I just don’t worry about after two weeks of games. Not yet anyway. Masahiro Tanaka unfortunately is not, he’s not. 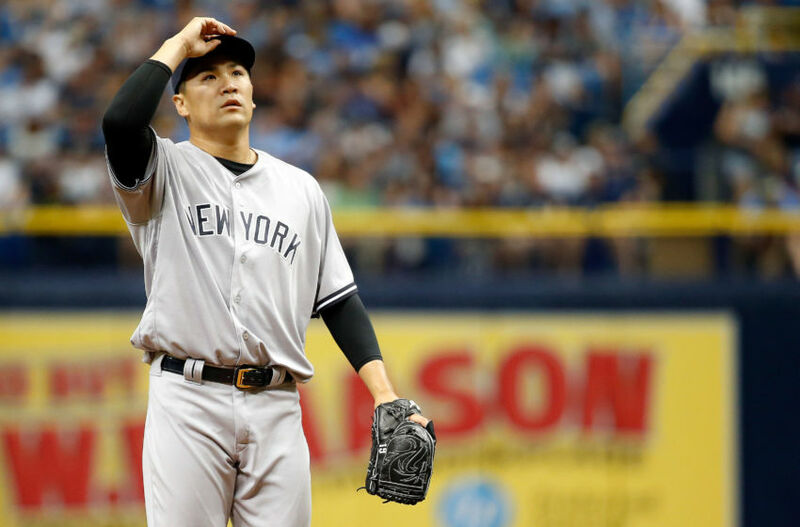 Tanaka is now having to field questions about his potential opt-out this offseason being a distraction or not just two starts into the season. The New York media is a freaking circus, always has been and always will be. Speaking of pitching CC Sabathia has been great thus far this season, he’s hot. In what could be his final season in pinstripes the big lefty has posted a 1-0 record in two starts with a 1.64 ERA allowing just two runs in 11 innings pitched. Sabathia is also hitting the mid-90’s with his fastball which shows me his knee feels just fine right now. Chase Headley, yes not a typo, is hot. Through the Yankees first seven games he was the Yankees most productive hitter and if Aaron Judge ever slows down he may be the Yankees most productive hitter in another seven games. Chase Headley, this is as much exaggeration as it is a typo, has as many hits and home runs thus far this season than he had in the first half of the 2016 season. Greg Bird had a monster spring where he just hit bomb after bomb after bomb but that has not translated as of yet to the 2017 season, he’s not. In his defense his ankle has been bothering him and when you have lower half injuries it can affect your hitting but he is making Stephen Drew look like a Hall of Fame hitter right now. This will change, I know that, but I just wish it would change now rather than later.